Saturday and Sunday were perfect fall days. It was bright sunny outside. The leaves were all shades of reds, oranges, and yellows. Beautiful! I kept thinking that this would be time for a family football game in the backyard. This plan had some flaws. We don't have a backyard. Both our families live very far away. I don't even think we own a football. Instead we got some ice cream. Apparently while in Alaska Mr. J started craving ice cream. You know it is perfectly normal to have ice cream craving while traveling in locations where the high for the day is 20 degrees. After ice cream I made dip. I figured dip could be consumed while watching football on TV. Almost the same thing. I didn't really watch any football. This would also be the most perfect dip for any holiday celebration in the coming months. It can easily be made ahead of time and put in the oven right before the guest arrive. 1. Preheat the oven to 350 degrees F. Press the excess moisture from the spinach. 2. Combine the artichokes, spinach, 1¼ cups of Parmesan cheese, 1¼ cups of Monterey Jack cheese, cream cheese, sour cream, and garlic in a bowl and mix well. 3. Spoon the artichoke mixture into a 1½-quart baking dish. Sprinkle the remaining Monterey Jack and Parmesan cheeses on top, and then sprinkle with paprika, if desired. Bake for 30 minutes. Serve warm with tortilla or pita chips, crackers or vegetables. I love spinach and artichoke dip! It really is perfect for any occasion (or any time at all really!)! This is our favorite dip! We had a great example of it on Cape Cod two years ago and an even better version in Mystic last year. Of course I recreated it at home...but with low fat ingredients. Yum!! The dip looks so yummy! 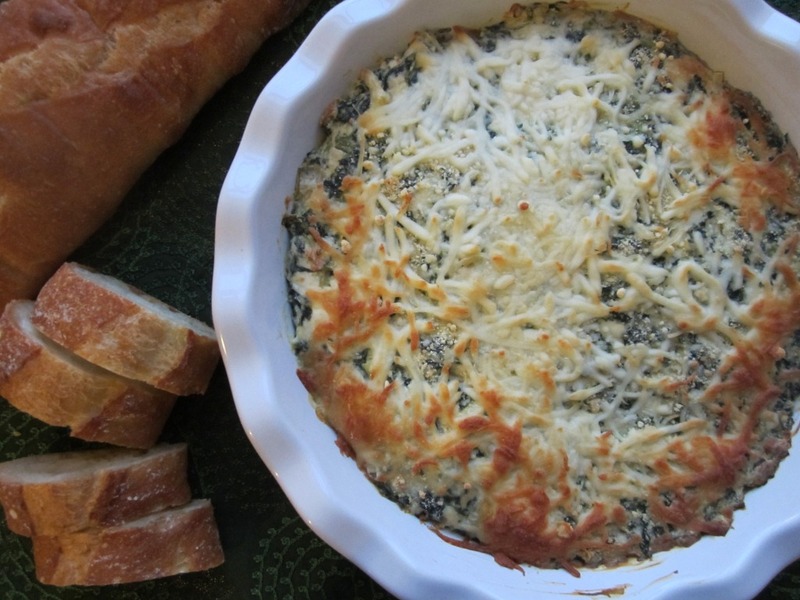 And super easy, I've never made spinach artichoke dip, I will try your recipe! This sounds great. I love the idea of this!